As avid Canon fans and users of the company’s cameras for our coverage and shows, we always make the Canon booth a yearly visit at the International CES. This year did not disappoint as Canon has continued to improve upon their “bridge” grade of video camera, the level between beginner and advanced amateur. 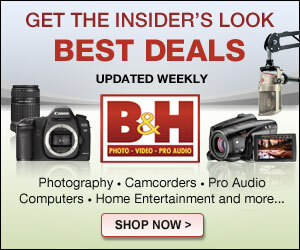 This year, Canon showed off a trio of Vixia HFR series cameras: the 62, the 60 and the 600. The only differences in these are internal memory storage. 32GB comes with the HFR62, along with WiFi and NFC. The HFR60 comes with 8GB and the same features, while the HFR600 comes in either black or white and contains no internal storage at all. All the cameras come with a 3″ touch panel, 57x advanced zoom and image stabilization, in a small and compact body. The WiFi and NFC features are the key components to the new line of cameras, which compliment Canon’s other new product, the Connect Station CS100. Just by touching the R60 or R62 to the station, you can wirelessly share and send your videos. You can also use the SD card slot to transfer the videos as well. The HFR62 will be $449, the HFR60 will be priced at $399 and the HFR600 will run $299, all launching in March. Thermal imaging is not just for uses in the military anymore. Of course, you can use the technology to give you “eyes” in the dark, but it’s uses are far more broad. Keith Metz-Porozni of Flir explains some of the many uses of Thermal Imaging. The Flir One Personal Thermal Imaging Device connects to your iPhone or Android and creates a way for you to check air leaks in a home, find a lost pet at night or find a wall stud to hang a picture from. There are many uses and could easily become a required tool for mechanics, carpenters, etc. Get a $1.49 .com @ GoDaddy geek149. Polaroid is obviously a company known for their camera technology. As standalone cameras have become a smaller market, it was time for Polaroid to find new outlets for their cameras. As most people tend to use their phone as their primary camera, this was a natural place to explore. The new Polaroid Android phones, shown off at CES 2015, might not revolutionize the industry, but they could certainly carve out a nice niche for themselves. Both handsets offer a 5.5″ screen and claim stock Android. 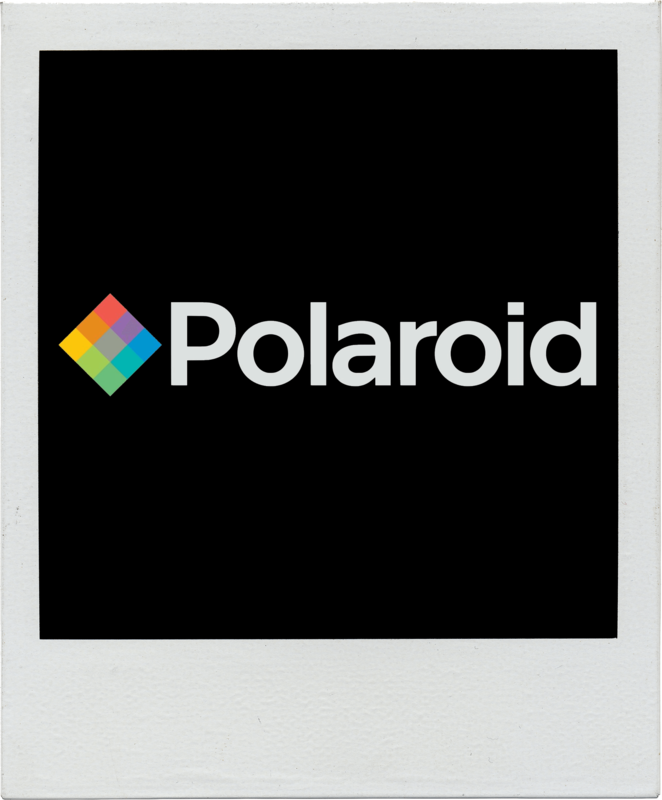 Included on the handsets is a Polaroid photo app that simulates the experience of using a Polaroid Instant camera of days gone by. The Selfie, which has an octa-core processor and a 13MP camera, has the ability to flip the camera around, allowing you to take a selfie or use Skype with the full power of the camera. The Flip, the lower-priced handset of the pair, is a quad-core phone with an 8MP camera that does not, as the name would suggest, offer the flip camera. Both handsets will be available this Spring unlocked for $199 and $179 respectively from various retailers. Polaroid is an iconic brand in consumer electronics. For years, the company’s name was synonymous with instant-print cameras. 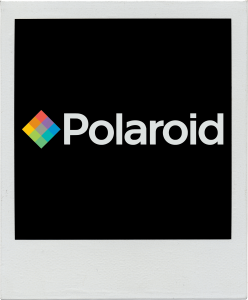 But now that digital photos have become the norm, what has Polaroid done to bring itself into the 21st century? To answer that question, Scott spoke with Joseph at the Polaroid Mobile booth. Joseph demonstrated two new Google-certified Android-based Polaroid phones. The first phone is the Polaroid Flip. The Flip comes with an 8-megapixel back-facing camera and a 2-megapixel front-facing camera. It’s expected to retail for $179.99. The second Polaroid Mobile phone is called the Selfie. This device uses an innovative “spinning” 13-megapixel camera that can be turned to use as a back or front-facing camera. The Selfie will go on sale for $199. Both devices will run Google-certified “stock” Android 5.0 and both cameras will be unlocked so they can be used with most international GSM carriers. 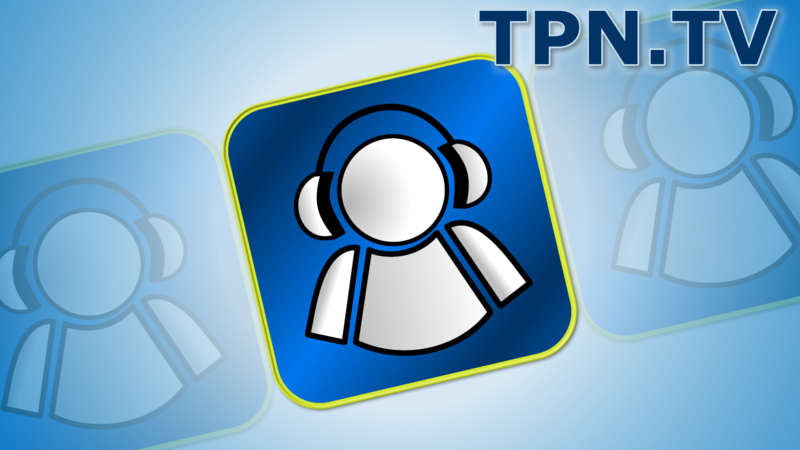 The team from Monoprice stopped by the TPN.tv booth to chat with Health Tech Weekly host Jamie Davis, the Podmedic about their new consumer electronics offerings at CES 2015. They brought a 22-inch HD Multi-touch Pen Interactive Display. It is Compatible with Windows 8.1 and Mac operating systems and combines a pressure-sensitive pen with cutting-edge multi-touch capabilities to create the ultimate viewing experience for those in the design industry. 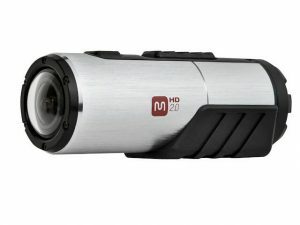 Monoprice is also setting their eyes on the action camera marketplace with the MHD 2.0 Action Cam. It’s the market’s lowest-priced, full HD quality 1920x1080p action camera with 24-bit color depth at 30 frames per second (fps), this lightweight camera is the ultimate video recording solution for outdoor activities and extreme sports. Unlike other cameras that can only orient to zero or 180-degree mounting positions, this camera can align with zero, 90, 180 and 270-degree positions. It is waterproof up to 10 meters without needing a separate enclosure, and is also shock, dust and freeze proof. Monoprice, an e-commerce leader that offers exceptional quality consumer electronics and tech gear at prices much lower than those of their competitors, today announced the release of a new suite of innovative tech solutions at the 2015 Consumer Electronics Show (CES). Featuring the latest advancements in hardware design and technology integration, Monoprice continues to disrupt the status quo by delivering premium products at affordable price points. 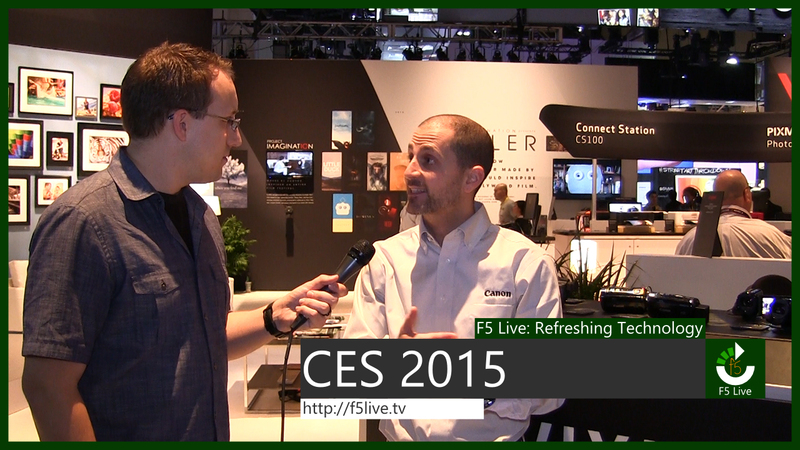 Health Tech Weekly host Jamie Davis, the Podmedic was manning the CES 2015 Tech Podcast Network booth when Jeff Sasaki from Element Case came by to talk about their new partnership with Schneider photographic lenses. Element Case has combined the high quality lens designs from Schneider with their award-winning cases for iPhones 6 and 6 plus. The new photo cases will feature interchangeable lenses of different types to allow for phone photographers to pick the perfect lens for their situation. Industrial designer Jeff Sasaki purchased his first iPhone, but with one small problem: his Australian Cattle dog Sprocket had previously chewed up his last 5 mobile phones. Add to this a couple of phones destroyed by crashing a mountain bike and a snowboard, Jeff was determined to protect his new Apple gem. The Element Case company was born. Since then they have designed and created some of the best cases on the market and the new offerings for the photographers out there is making it even better. Find out more about Element Cases here. New technology can be great but sometimes, it’s loaded with so many options that it can also be difficult to truly grasp how it works. That’s the problem Kodak is hoping to solve with its new IM5 smartphone. Todd talked to Lindsay Higgins from Kodak about the IM5. Lindsay explained that the device was designed with Baby Boomers in mind. She described the IM5 as an affordable camera phone that’s easy to use, with simple features that emphasize browsing and sharing photos. The IM5 runs Android 4.42 and it uses a 13 megapixel back camera as well as a 5 megapixel front camera. The base model includes 8 gigabytes of storage, with models that expand up to 32 gigabytes. The IM5 also allows for dual SIM cards, so it’ll easily travel abroad. Interview by Todd Aune from The Elder Divide for the TechPodcast Network. GoPro cameras have become almost ubiquitous in the outdoor tech scene, and the folks at Gripix are making it easy to capture amazing GoPro footage, both on land and in the water. 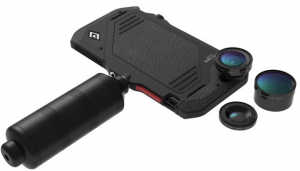 Todd spoke with Tyler Reid, co-founder of Gripix, about the newly-announced Gripix Wi-Fi Trigger System for GoPro. Gripix uses your standard GoPro remote to create a durable, easy-to-use stainless steel mount and trigger system. Their add-ons and accessories allow you to push the limits of your GoPro even further. The basic Gripix handle ($99) and two add-ons; the top pole ($49) and the low-pro system ($59) will begin shipping in March and are available for pre-order now. Liquid Image weren’t a company with which I was familiar but having looking at their website, they have an impressive range of action cameras, with some interesting models where the camera is integrated into a scuba mask or ski goggles. 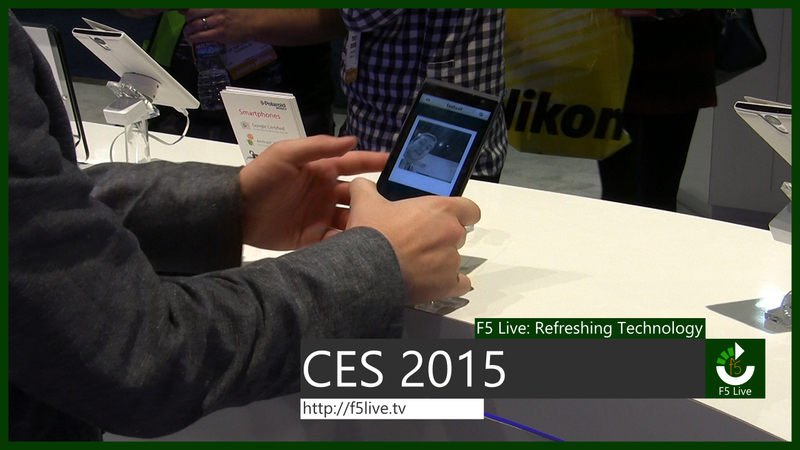 At CES Unveiled, Todd interviews Melanie about Liquid Image’s new streaming wireless camera. The Ego LS is hand-sized wearable and mountable camera not unlike others on the market but its key feature is that it can stream video over the Verizon 4G LTE network including XLTE allowing for fast live streaming. In addition to 4G LTE, the wireless features include Wi-Fi, Bluetooth, and Low Frequency RF, which keeps the camera in standby mode for over a day without draining the battery. This makes the camera very flexible with a range of wireless coverage options and the Ego can simply record to memory if there’s no wireless at all. Neat. The Ego LS model 800 is expected to retail at $399 and will be available in Q1 2015 for the US, with availability in other territories including Europe, Russia, Japan and Canada in Q2 and Q3. Interview by Todd Cochrane of Geek News Central for the Tech Podcast Network.